Whatever the season or occasion, make a memorable impression everywhere you go with this stylish Frame clear oversized unisex sunglasses. For an accessory that matches your bold fashion sense, look no further than this oversized frame style. 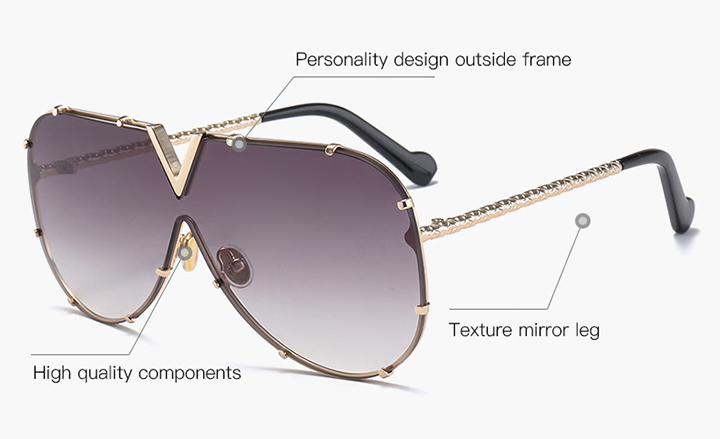 The eye-catching metal frame will stand out as a signature accessory for day or evening. The anti-reflective coating is designed to reduce glare-related distractions, while also protecting the eyes from damaging UV ray and strain. Buy it now!